With September behind us we reminisce on how good it's been to us, fashion lovers. If you haven't seen it yet, what are you waiting for? Released on September 25Th, the film depicts the life of the legend showing both her professional triumph and personal tragedy. I refuse to spoil this movie for you so this is all I am going to say. London Fashion Week Sept. 18 - 23: We give our hat to London Fashion week for making all it's shows available on video. You should definitely take a look. It's like you were there minus the airfare. If you are really into it, dress up and invite some friends over for a night of fashion a la London! View shows. Milan Fashion Week: Milan is by far one of the best dressed cities in the world. For your viewing pleasure, here are some of the looks seen on the streets of Milan during fashion week. 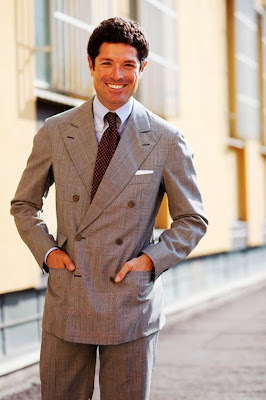 Photo credits: Thanks to The Sartorialist for the FAB pics! !